Sport psychology employs a combination of evidence-based performance enhancement techniques, sport science, and counseling skills to help clients maximize their potential by honing their mental approach to high-leverage situations. In the MA in Sport Psychology program, you’ll learn from faculty who are pioneers in the field and push the boundaries in an ongoing effort to improve sport psychology through both research and practice. This program is offered on campus and online in a structured format with weekly deadlines across each quarter-long course. Application/intervention. The students will be able to describe, explain, synthesize, and apply performance enhancement techniques with individual performers and teams. Theory. The students will be able to describe, explain, synthesize, and apply theoretical perspectives from Sport Psychology and related fields. Assessment. The students will be able to describe, explain, synthesize, and apply various assessment tools in a continuous and evolving process to create effective action plans. Students will be able to screen clinical issues. Counseling skills. The students will be able to identify, describe and explain how to use counseling skills to develop a working relationship with the client. Students will be able to identify, describe, explain, and apply how the self impacts the client-consultant relationship. Diversity. The students will be able to identify sources of bias within themselves, integrate concepts and adapt their skills to work with a diverse range of populations. Ethics and professionalism. The students will be able to identify, explain, synthesize, and critically analyze ethical principles in a professional and culturally appropriate manner. Students will be able to utilize decision making principles and explain choices made relating to ethical situations. Research. The students will be able to summarize, critique, and conduct research in the field of Sport Psychology. Students will assess and apply both established and current research findings to their scope. Actual fieldwork experience is the cornerstone of the JFK University Sport Psychology Program. Over the course of the program, students participate in a minimum of four separate internships, exposing them to a wide variety of clientele and practice settings. By the time of graduation, students will have gained over 600 hours of practical, on-the-job experience. For individuals interested in sport psychology and in working in a clinical setting and/or using clinical psychology skills in working with clients, John F. Kennedy University is pleased to offer an innovative program that enables individuals to work toward earning an MA in Sport Psychology and a PsyD degree concurrently. This program provides a unique opportunity to train to work with both clinical clients and athletes and prepare to apply the skills and knowledge developed from both the fields of sport and clinical psychology. Students who have not completed the prerequisites prior to admission are required to do so during the first year of graduate study. Addresses psychological disorders from a clinical standpoint while emphasizing their relation to consulting with teams, athletes, and the field of sport psychology. Students gain a working knowledge of psychopathology in order to identify cases requiring referral. Online or in residence. This course is designed to offer students an overview of the biological, cognitive, and affective bases of behavior in youth sport. Specifically, students will be exposed to the current research related to the bio-physio and psychosocial models of development. Students will gain an understanding of how motor learning, and motor development impacts youth sport. Students will also gain knowledge in the developmental sequences associated with cognitive development, emotional development, and moral development. Students will then be required to integrate theoretical knowledge with practical strategies and interventions appropriate for youth and adolescent athletes. Research methods allows a brief introduction to various forms of research methods, both quantitative and qualitative, with particular attention to qualitative methods. The course will address issues around data collection, interviewing, and data analysis. The course will encourage students to focus on research that has been used in their appropriate fields. It will help prepare students for the MA research project process and aid understanding of research once working as a practitioner. $75 Fee Comprehensive written examination covering material of Phase I, to be taken at the end of Phase I. Further guidelines are available in the Sport Psychology office. Prereq: PSP5816, PSP5280(also available each spring, OL only) This advanced optimal-performance course emphasizes sport psychology skill development and addresses different styles of consulting. Students will be challenged by case studies and will role-play actual consulting scenarios in which they can develop and refine their own consulting style with feedback from their peers. Prereq: PSP5811 This course goes into more depth in scope of practice, ethics, dual relationships, and the referral process for sport psychology consultants. Students acquire consulting role-play and vignette experience, explore how a consultant works with the dynamics of team and group issues, and examine in-depth sport psychology cases for individuals and teams. (Also offered in SU). This course is designed to offer students an overview of historical and current topics relevant to the understanding of diversity in sport. Students will be exposed to the historical context of how diversity issues have impacted the development of sport. 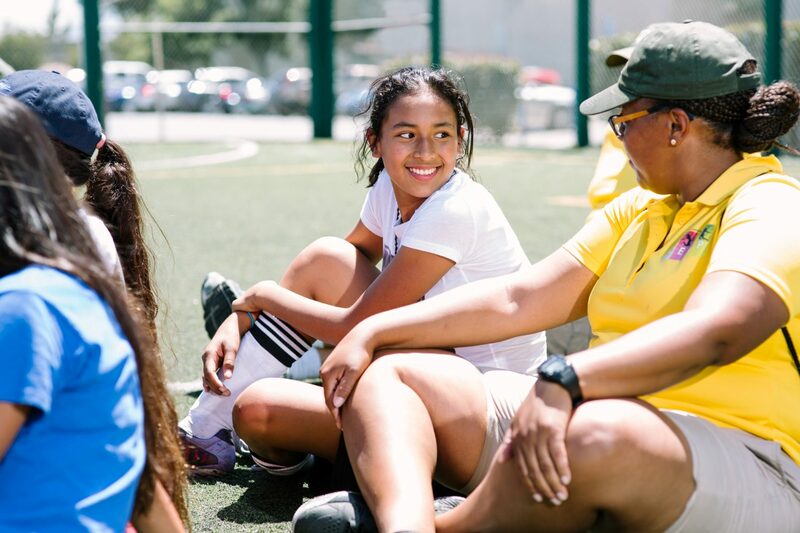 Students will understand the complex nature of gender, ethnicity, socioeconomic status, sexual orientation, age, and disability as it relates to current sport practices. Students will also be exposed to practical strategies for facilitating acceptance of diversity within individual and team sports. Prereq: PSP 5803A, 5280 (I). This is an advanced course in ethics and professionalism in the field of sport psychology. Students will explore ethical issues that occur while working as a consultant in sport psychology. Students will critically analyze research and newspaper articles that are pertinent to working in the field. Common ethical challenges will be discussed and ways of handling these situations will be addressed. Prereq: PSP 5800A, 5280 (I) This is an advanced course that is the second in a two-part series. The main theoretical approaches in the field of sport psychology will be revisited and addressed from an integrated perspective. The students will be expected to synthesize the various theoretical perspectives and research findings and show how this integrated perspective can help their work with performers. The course will continue to engage students to think critically about the research presented and how it relates to their work in the field as a practitioner. Prereq: PSP 5280 I Required of students taking the extra internship option. This sequence typically takes two quarters and involves effective, appropriate, and professional communication issues. Topics addressed will include ethics and professionalism in writing and the publication process. The final product will be an applied paper that will be of publishable quality in a form that does not necessarily require collection and presentation of data. This sequence is under the supervision of the research director. The research proves begins at least two quarters before anticipated graduation. A maximum of two units may be applied to the degree. Prereq: PSP 5895A, PSP 9031 Required of students taking the extra internship option. This sequence typically takes two quarters and involves effective, appropriate, and professional communication issues. Topics addressed will include ethics and professionalism in writing and the publication process. The final product will be an applied paper that will be of publishable quality in a form that does not necessarily require collection and presentation of data. This sequence is under the supervision of the research director. The research proves begins at least two quarters before anticipated graduation. A maximum of two units may be applied to the degree. $75 Fee. Comprehensive oral examination covering material in all phases of the program to be taken in the student’s last quarter. Further guidelines are available in the Sport Psychology office. $75 Fee Comprehensive oral examination covering material in all phases of the program to be taken in the student’s last quarter. Further guidelines are available in the Sport Psychology office.